All night burners are the perfect solution for burning solid fuel. With an adjustable draught to the front and bottom of the fire grate you are given complete control of the air intake to the fuel. With both the front and bottom open your fire will give radiating heat directly into the room. With the front and bottom closed your fire will burn slowly never going out overnight. 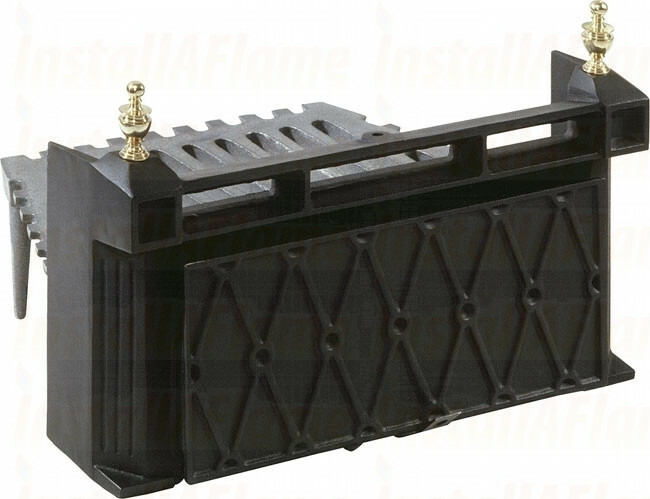 This black with brass & chrome finials all night burner is are easy to fit to a traditional open fire. 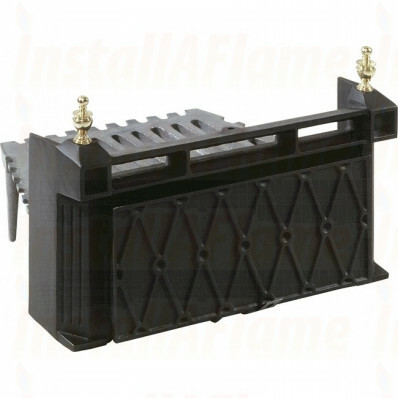 All Night Burners are supplied with a grate, fret, ashpan and tool. The Lattice open fire is made from traditional cast iron in mat black finish with the unique lattice pattern. Comes supplied with deepening bar for overnight burning. Everything you need for complete control of your solid fuel fire.